Outlander fans may be in the middle of droughtlander, but star Caitriona Balfe is giving fans a little refresh with her newest Instagram post. 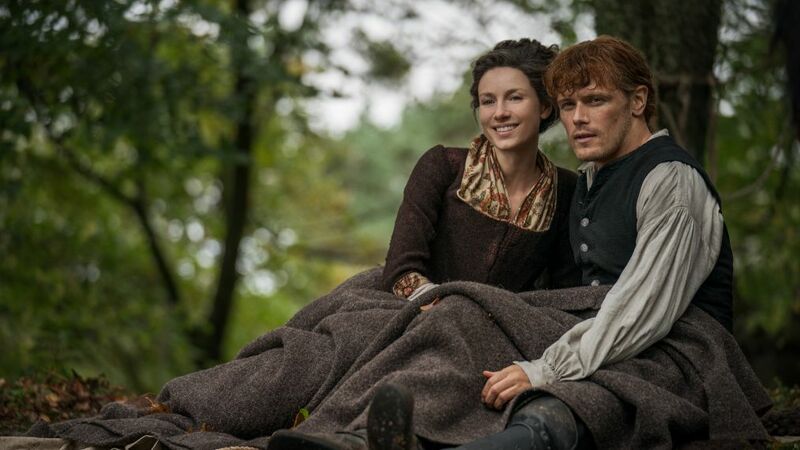 The actress, who plays lead character and fan-favorite Sassenach Claire Fraser on the Starz drama series, took to social media to commemorate a milestone — five seasons. "And so it begins....... Season 5 (yep that's 1, 2, 3, 4..FIVE  ) prep time !!!!" wrote the actress. Yet another long Droughtlander is upon us, but at least Diana Gabaldon's book series gives us a hint at what's ahead. "Excuse the shrill shouting but I was very very excited to catch @jongarysteele on the incredible new set he and his team of genius artisans have built !!! Get READY!! @outlander_starz #Outlander #outlanderseason5," Balfe continued. The caption accompanied a black-and-white video from the set of Season 5 in which Balfe walks around the work-in-progress set, which includes a fireplace, wood paneling, and a four-poster bed. As Balfe marvels at the set, she goes running up to Jon Gary Steele — the man she mentions in the post — who happens to be the show's production designer. Steele also shares images on his own Instagram page, but doesn't specify whether they're from the upcoming season or not. Either way, Balfe's enthusiasm is enough to excite any Outlander fan. Steele's most recent post appears to be from behind the scenes though, "Just me being stupid Good night," he captioned a photo of himself. Writer/executive producer Toni Graphia breaks down what almost happened. The show's official Instagram page reposted Balfe's video with their own caption reading: "AHHHHHHHHHHHH!!!!!!!!!!!" So we're not the only ones freaking out. Balfe also mentioned that it was a "new set," so does that mean it's a new place fans will visit in Season 5 or simply a new spot for an old abode like Jocasta's (Maria Doyle Kennedy) River Run mansion? Time will tell, but in the middle of this droughtlander, Balfe has at least given fans something to hang onto. And fans can count on the show's future, as it was announced prior to Season 4's premiere that Outlander has been renewed through Season 6.